Sugar tax – is sugar bad? Sugar tax article says great things will happen.... or does it? Sugar tax has been in the news for what seems a long long time. Previously sugar was just the food type that we knew wasn't the best thing to eat mainly because of tooth decay. says that a sugar tax or a "Sugary drinks tax 'will benefit children most',". The sugar tax, expected to be introduced in 2018, will likely be a token gesture in the fight to tackle the increasing waistline of the UK population. The obesity epidemic is being fuelled by the over consumption of food and drink in total, not of one particular food group. Sugar is just one of the food groups we eat. Sugar, carbohydrates, starch and fibre; protein and fat. Are we really to believe that by tackling mainly our sugar intake the obesity crisis will be reduced in any meaningful way? 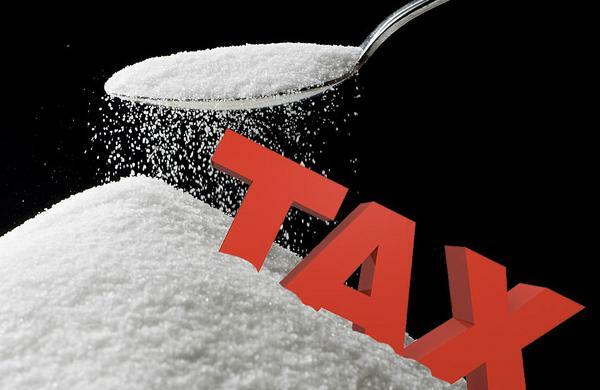 What is really confusing is the tax is unlikely to be applied to natural sugars such as fruit juices and whole fruit. These natural sugar sources are indeed a superb way of maintaining optimal nutritional levels, however once a sugary drink or a natural fruit is consumed the end result is circulating blood glucose. Our bodies do not care much for the source of the glucose and any regular excess calorie intake will make us gain weight. However, these are estimates only, not certain effects. And changing the sugar content of sweetened drinks could only have such an effect on those who continue to consume high amounts of sugar through other dietary sources. There was one very good message though and that was if we can reduce the amount of sugars in foods and drinks then we may see more beneficial outcomes than just a sugar tax. It is hard though to see how we can reduce the amount of sugar within whole fruits and quality fruit juices. The stance is also unlikely to change in our obsession of requiring increasing amounts of fruit in line with the 5-a-day health message. Fruit is indeed healthy and an essential part of a healthy balanced diet, but we really must temper this call for increased intake of food and include an overall call for overall food and drink intake moderation. There must come a time when a robust solution is offered to reduce our nation's over consumption of calories. Possibly treating the obesity crisis in the same way as tackling alcoholism or any other addiction may get some realistic obesity treatment solutions? Waistaway strongly thinks so. The sugar tax is unlikely to make much difference. ⟵What diet is best for you? Global obesity a western world issue?